Since we’ve waved goodbye to what it is fair to say has been a rather controversial 2016, what better way to ring in the new year with a special installment of Talkingcomicbooks.com’s very own ‘Returning to Batman: The Animated Series’ column. And what better place to start than with the series’s first feature length spin-off, Batman: Mask of The Phantasm. Synopsis: [from IMDB, see link: Here] Batman is wrongly implicated in a series of murders of mob bosses actually done by a new vigilante assassin. When people ask me what my favorite Batman movie is, I often have to think and reassess how I answer this question. You see, I have to give them the answer to the question that they are actually looking for (i.e.”which live-action Batman movie is your favourite?”) to which I give them the response, Batman Begins (because it is the best and anyone who says otherwise is wrong). Yet if I were being truthful, despite Batman Begins being my favourite live-action Batman movie (or, actually, for that matter, my favourite live action superhero movie) it is not actually my favourite Batman film. That title goes to Batman: Mask of The Phantasm. 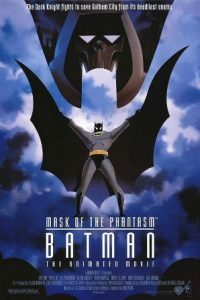 Originally concieved as a direct to video feature, Batman: Mask of The Phantasm was put forward as a theatrical release following the massive success of the series. Released on Christmas Day 1993, the film flopped domestically in terms of box-office, something that its creators put to a poor marketing campaign by Warner Bros prior to its release. 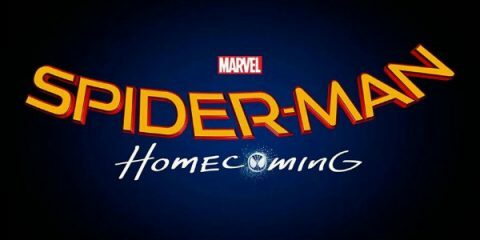 Despite this disappointment, critically, the film fared incredibly well and has since gone on to find something of a cult-following on home video in the years after its release. The story follows Batman as he comes face to face with a new villain named the Phantasm, who is murdering several crime-bosses from the Gotham city underworld. Meanwhile, his alter-ego Bruce Wayne is also reunited with an old-flame, Andrea Beaumont, whose return brings a series of Citizen Kane inspired flashbacks that may/or may not have some importance to this new case. In many ways, Batman: Mask of The Phantasm finds its roots in several comics DC released around the late 1980s. Most notably, Frank Miller and David Mazzucchelli’s Batman: Year One (1987), and Batman: Year Two (1987) by Mike W. Barr, Alan Davis, Paul Neary, Alfredo Alcala, Mark Farmer and Todd McFarlane. In a highly effective scene, Bruce Wayne finally puts on his mask for the first time and reveals his new alter-ego to Alfred. Following in the footsteps of Batman: Year One, Mask of The Phantasm acts partly as a origin story for Bruce Wayne’s transformation into Batman. Working as a character piece, the film focuses on Wayne’s early struggles with his secret identity and demonstrates his doubts over whether becoming Batman is the right thing for him to do. It’s an intriguing development, one that offers a surprising glimpse into Bruce Wayne’s own psychology. After years of Wayne being portrayed as obsessive and determined, this story actually brings Batman’s humanity to the fore and brings into question what we thought we knew about the character. While this might go against Miller’s depiction of Bruce Wayne as an obsessive, the makers are also quick to homage Miller and Mazzucchelli’s story through Wayne’s first night as a vigilante, which sees him wear a black ski-mask and street clothes. Furthermore, Kevin Conroy’s voice acting is excellent, with the actor clearly thriving on the more complex material on display. Here, he not only offers the same power and courage that has become synonymous with his Batman, he also employs a degree of vulnerability and weakness that is rarely seen within the character. Yet Bruce Wayne’s origin is only one part of Batman: Mask of The Phantasm. Perhaps the most central plotline of the film comes with the use of the Phantasm itself. Although arguably based upon the Reaper character in Batman: Year Two, Mask of the Phantasm’s writers do enough to not only make the character more interesting, but actually eclipse the character from which it is based upon. In Batman: Year Two, the Reaper is Judson Caspian, another ‘Anti-Batman’ character (Much like Prometheus and Owl-Man) whose daughter Rachel is soon to be married to Bruce Wayne. Taking as similar template, the film’s writers add a further twist to the Reaper’s story when creating the Phantasm, adding a gangland plot to the characters origin and making the daughter character (in this case, Andrea Beaumont) the actual villain as opposed to her father. Its only upon re-watching that you can see the various red herrings that the writers put in place within this stories mystery. Not only is Phantasm voiced by Stacey Keach, who plays Andrea’s father, but his presence is alluded to right until the end, when it becomes clear that he has been long since dead. It is fairly well done and one can presume that it might have been fairly difficult to consider who actually was the Phantasm on first viewing… if of course you hadn’t been spoiled by the Kenner action figures of the time! Although Andrea’s ultimate reveal as the Phantasm perhaps plays into the traditional femme fatale trope of so many hard-boiled detective novels, her willingness to do what is required to sake her vengeance brings with it a degree of agency. 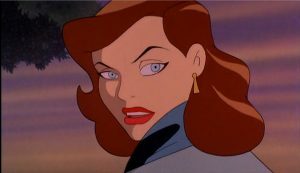 Her voice actor, Dana Delany (who would later play Lois Lane in Superman: The Animated Series) further plays her with both a degree of wrath and sadness. So much that Beaumont actually becomes an somewhat empathetic monster, as opposed to a murderous, one dimensional vigilante of so many within the femme fatale archetype. Her relationship to Bruce Wayne is also excellently presented in that both appear as somewhat kindred spirits. They speak to their dead loved ones, they practice martial arts… and also wear costumes that intimidate criminals. 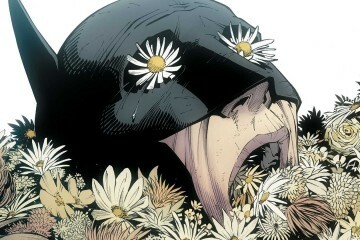 Their romance therefore seems believable and adds weight to Bruce’s decision regarding his future. It’s also filled with tragedy and a sad sense of loss, particularly by the film’s conclusion. Alongside this, the inclusion of the Joker is also done expertly and doesn’t feel in anyway shoehorned into the story. Not only does Mask of the Phantasm offer one of the best interpretations of the character, it also offers insight into the character’s past. Although many swear by Batman: The Killing Joke, as the Joker’s origin, I’ve always been drawn to the idea of Joker always being a ‘bad-egg’ before his chemical bath. Following in the footsteps of Jack Nicholson’s portrayal in Batman (1989), Mask of The Phantasm’s writers interpret the early Joker (or Jack Napier as the series would later tell us) as a quiet, but distinctly nasty hitman, who is not afraid to get his hands dirty. The Joker – Mad, bad and dangerous to know. As one of the men responsible for Andrea Beaumont’s father’s death (actually THE man responsible), the Joker is specifically tied into the story for a reason. As a result, it allows the film to feel as though it is part of a rich mythology and not just as stand alone piece that so many spin-off features sometimes feel like. Furthermore, by including the Joker, we also get to see more of the Gothic styled horror that the character brings to the film. Whether its hamming it up with his robot wife or cracking jokes, Hamill’s performance is astounding. Every scene he is in brings with it a menace and dark humour that really adds to the films richness. While the scene where me meets Sal ‘the Wheezer’ Valestra at his amusement park hideout is hilarious, my favourite moment is where he breaks into Councilman Reeve’s office. Dripping with menace and yet still very funny, the scene offers perhaps my favourite single frame of the film. An image of the Joker laughing, lit by lighting and dressed in an long-coat and hat. It is a terrifying and sharp image, one that evokes both the Gothic and the noirish elements that I feel define this version of the character. The Phantasm stalks Buzz Bronski in the Graveyard in a decidedly Gothic sequence. As to be expected in a feature-length adaption, Batman: Mask of The Phantasm offers exceptional animation of a quality that is generally of a much higher standard than that of the series. Alongside the colours and fluid movements are some expertly rendered action sequences (the sequence of Batman on the run from the police is particularly full of tension and expertly shot). Yet, perhaps more impressive than this is the animators exceptional understanding of mood and mise en scene. The film continues the dark-deco aesthetic championed by the series and even celebrates it with the use of the Worlds Fair amusement park, which offers Bruce his first glimpse at the future Batmobile, while also functioning as the Joker’s hideout at the film’s climax. Another exceptional scene is when the Phantasm stalks gangster Buzz Bronski through the Gotham city graveyard. Coloured in shades of black, grey and navy, the scene uses Gothic motifs of dead trees, flashing lightning and tall, monolithic gravestones to add a further sense of unease to the scene. It’s as beautiful as it is scary, and this fusion of Gothic and Dark-Deco aesthetics only outlines the perfect interpretation of Batman that the film’s writers are able to employ. While I could continue to go on, its clear to see why Batman: Mask of the Phantasm stands as one of the best Batman movies of them all. As a specific character piece, it offers intriguing insights into the past lives of several DC characters, including Batman and the Joker. It is also a well-crafted mystery with (providing you haven’t been spoiled prior) an satisfying twist to its ending. Yet perhaps its most stunning attribute is that it’s expertly animated and stylised. Combining noirish thrills with a dark, brooding Gothic romance. Needless to say, Batman: Mask of The Phantasm sets the bar incredibly high. 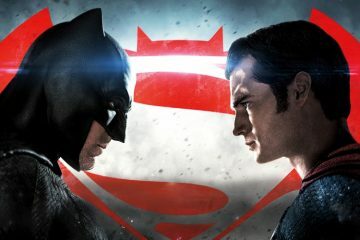 So high that perhaps no live action Batman film has been able to compare thus far. If you haven’t seen it recently, maybe its time to give it a rewatch. C.J. Thomson is a young academic and fiction writer who lives in Linslade, United Kingdom. A former MA student at Birkbeck, University of London, he is an aficionado of American popular culture with a vested interest in monsters, superheroes, horror and gothic fiction. Among his many projects, he is currently writing several short horror stories as well as a top-secret science fiction novel.